Some people collect sketch cards, but I’m collecting sketch dolls. This is a blank pattern with stitches in black and folds in gray, for making sketch dolls like these that I collected during the process of making the template. 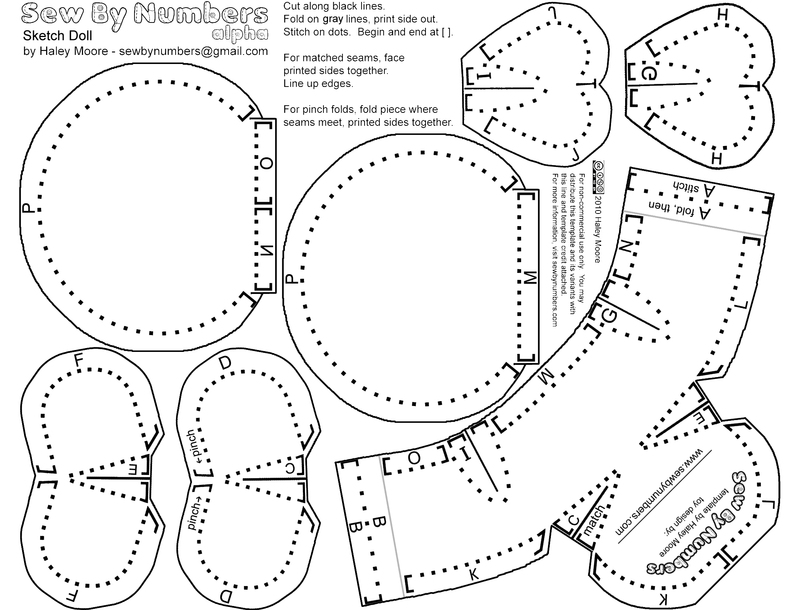 The difference between the sketch doll pattern and the blank SBN template is that there is no ink transferred to the front facing parts of the pattern, leaving the fabric clean for your artist to work on. It also has a place for the artist to sign their work on the bottom. I’m going to have a few of these premade at Comic Con for people to draw on.